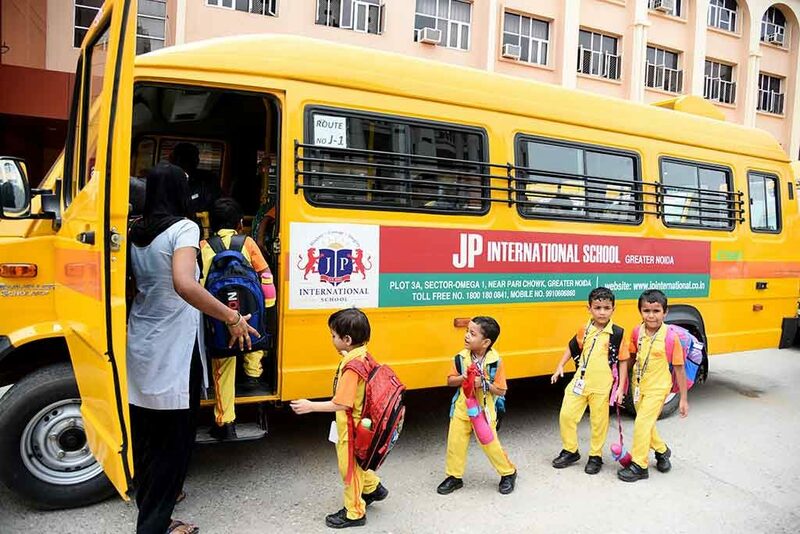 JPIS has its own fleet of 49 buses to cater to the needs of our students and staff. The transport network predominantly covers all the major & important locations of Gr. Noida, Noida and adjoining areas. The transport department determines routes, bus stops, assigns drivers for bus scientifically to make it a hassle free experience to parents, learners, supervisor and staff. The buses are being equipped with GPRS system to ensure safety. The school transport is the safest mode of transport for the student. Students can avail the school transport subject to the availability of seats. 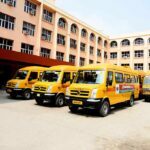 The routes of the school buses are framed keeping in mind the needs of the students and they should consult the Transport In-charge for details. No queries will be entertained for changing the existing bus routes, stops and for extension of routes. The transport fee is determined by the distance a student travels. Please note that the distance in kilometers (km) is measured according to the route taken by the bus. Transport fee will be charged for 11 and half months in a year. The amount is payable along with the school fees on a quarterly basis. Parents have the option to pay the fees on monthly basis. A written application must be given one month in advance, to discontinue the transport facility and the dues for the month of withdrawal must be paid. Parents should not argue with the teacher present in the bus or the Conductor/Driver. If there is any problem, a written complaint or an email at feedback@jpinternational.co.in may be made to the Transport In-charge. Courteous behavior is expected at all times. The Bus Teachers and Student Bus Monitors are responsible for maintaining discipline in the buses. Any serious offence must be reported to the Principal. 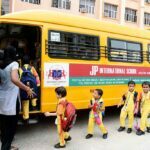 Misbehaviour, bullying of students, use of abusive language and failure to abide by bus rules could lead to a student being debarred from using School Transport. The safety and security of the children is our prime concern. As partners in their holistic growth, it is of prime importance to ensure that every student of the school is safe at all times. 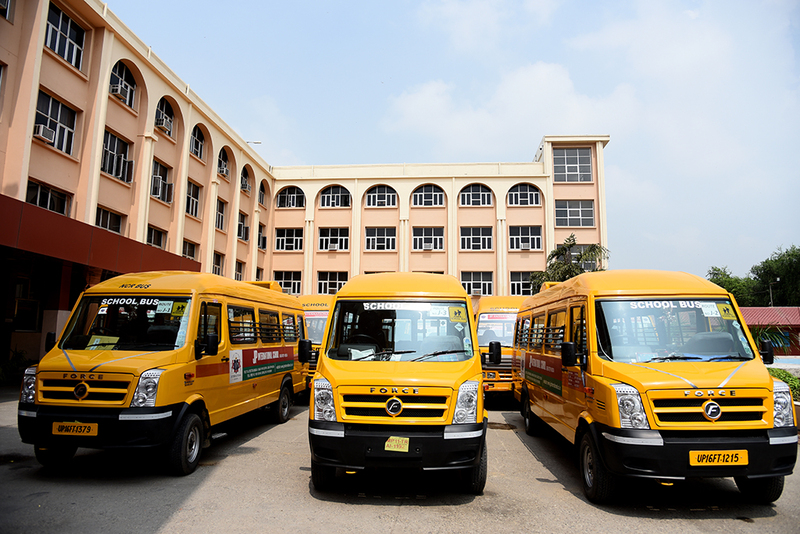 The school transport is the safest mode of transportation and has adequate coverage area to facilitate student transportation. In case your ward is travelling to school through private conveyance, please ensure that the van fulfills all safety and security norms. Be very particular that the private conveyance is not overcrowded and is adequately manned by a driver and helper. Verify the antecedents of the driver and maintain a record with his photo ID and address. It is mandatory for van drivers to wear photo ID cards. Please ensure that police verification of the transporter is done. Ensure that the transporter uses language suitable to the tender ears of the young children. 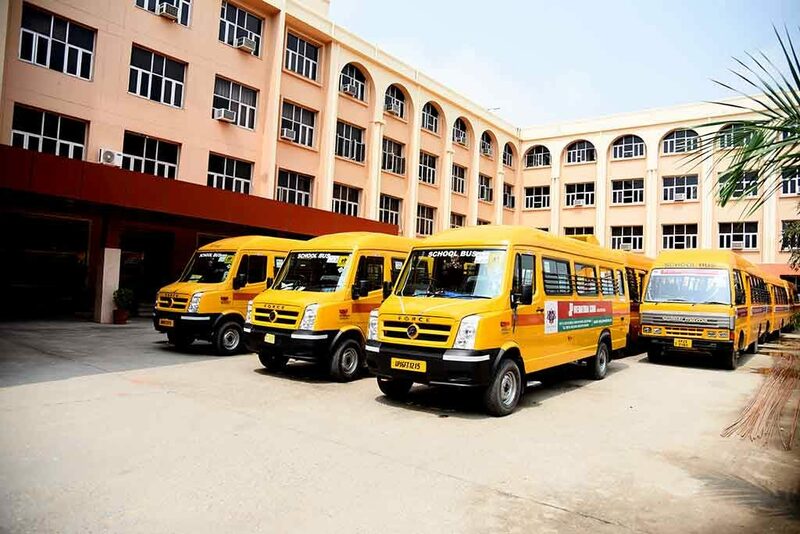 Transporters must avoid honking and parking vehicles near the school premises as it creates chaos. 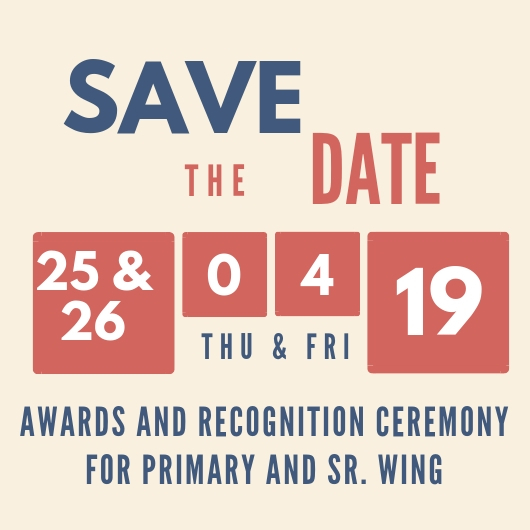 Ensure that the private conveyance drops your ward to school not before 7:45 a.m at Senior Wing, 8:00 a.m. at Primary Wing and Nursery Wing. Ensure that your ward is picked up soon after school closes and is not left to loiter around after school hours. The transporter must drop and pick up the child from the school gate. Most vehicles park far away and children have to walk to school from that distance and at times cross the road too. Children crossing the road unattended are not the responsibility of the school. The school maintains no connection with any private transporter whatsoever. The use of private conveyance is totally at parents’ discretion. The school may not be held responsible for any untoward incident occurring outside the school premises or in the private conveyance. Children are not allowed to use personal conveyance like scooty/scooter/bikes to commute to school. Driving without license is a punishable act. 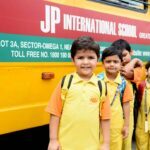 The school regularly sends circulars to the above effect and parents are requested to give them their full consideration. 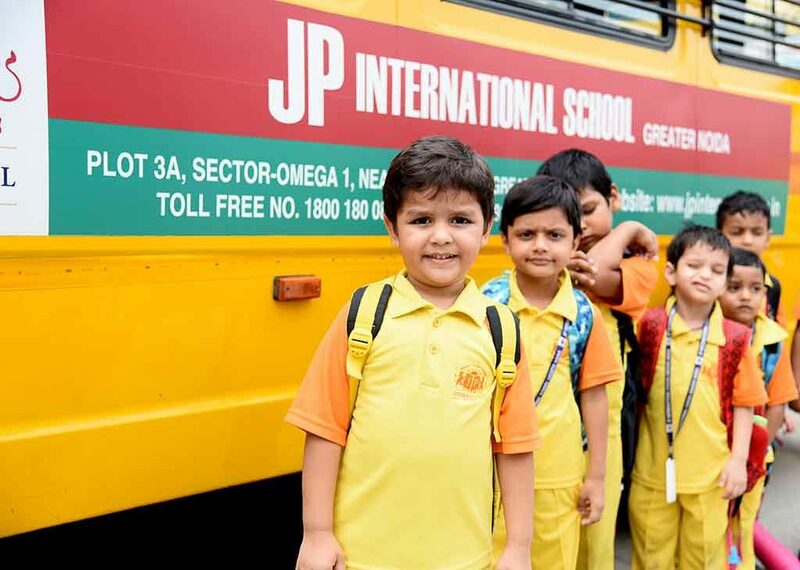 Please get in touch with Mr. Ankit Sharma at transport@jpinternational.co.infor details on the bus routes.